Looking for an Otterbox alternative for your iPhone 6 Plus, but without the added bulk that accompanies Otterbox’s cases? Well, you should look for further than the Griffin Survivor Slim Case, which seems to deliver the drop protection that owners crave in the event they drop the premium-made smartphone. However, unlike Otterbox’s line of rugged cases, this one manages to minimize the amount of heft added to the iPhone 6 Plus. 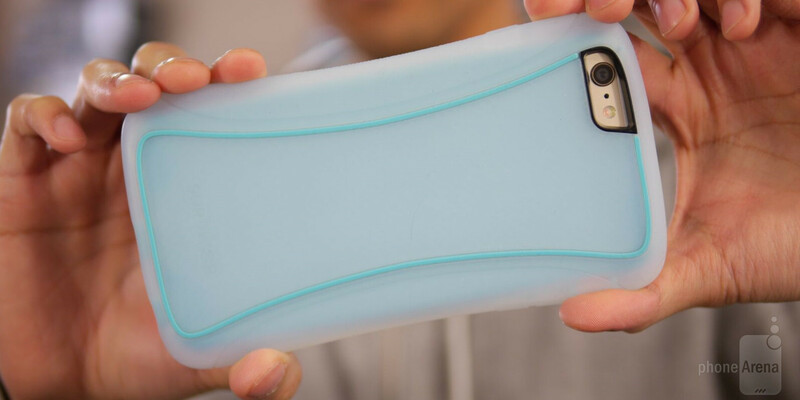 Employing a dual-layer design, one that consists of an inner rigid polycarbonate shell and an outer silicone jacket, the combination is designed and tested to meet MIL-STD 801G for drop protection. Thankfully, we can attest that its drop protection is solid, as the silicone material absorbs shocks – thus, allowing it to simply bounce a little in the event it’s dropped. There’s a fair amount of lip around the display made by the case, but there’s no worrying about it scratching because the packaging comes included with a screen protector. As for the camera lens around the rear of the iPhone 6 Plus, which sticks out, it becomes recessed due to the case due to the lip created by the case. On one hand, it’s not quite as bulky in size as some other comparable cases, but the silicone jacket that covers the entire thing just doesn’t cut it in the style department. Indeed, it safely protects the iPhone 6 Plus from some cringe worthy accidental drops, but we wouldn’t necessarily say that it’s the most attractive looking case. Quite frankly, even though it doesn’t really look too generic, or similar to the rugged styling we see from Otterbox’s portfolio, it would’ve been nice to see some sort of edgier appearance with the Griffin Survivor Slim Case. Interestingly enough, the Griffin Survivor Slim Case for the iPhone 6 Plus comes close to the pricing we see from Otterbox. Its $44.99 pricing online isn’t cheap, but we imagine that it’s something that’s well within the scope of a ruggedized case. Honestly, though, it’s a toss-up on whether you should invest in this or an Otterbox – just because it’s not the most flattering looking thing. Then again, neither are the high-end Otterbox cases.